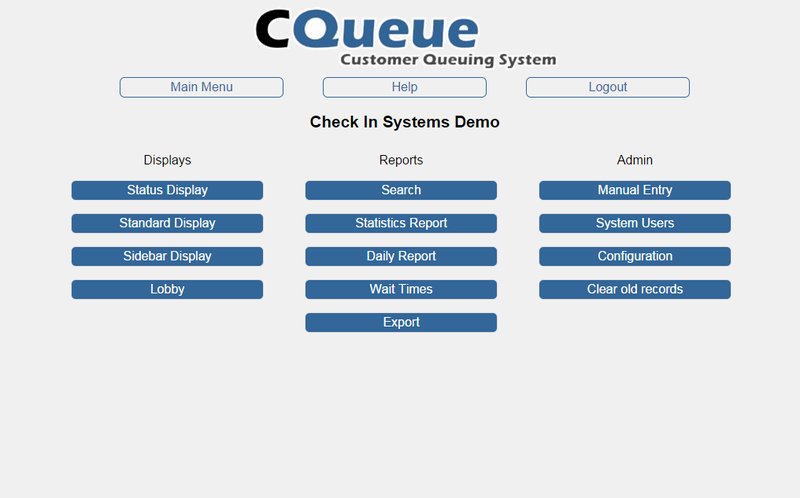 Although Check In Systems has developed specific templates for industries, many of the screens are similar. The difference is the content of the screens, reports and menus. 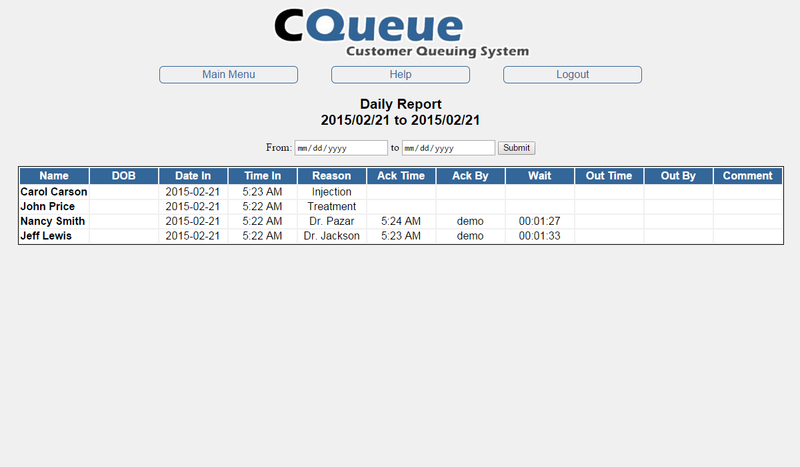 Below are some of the screens you will see in our Customer Check In systems named CQueue. 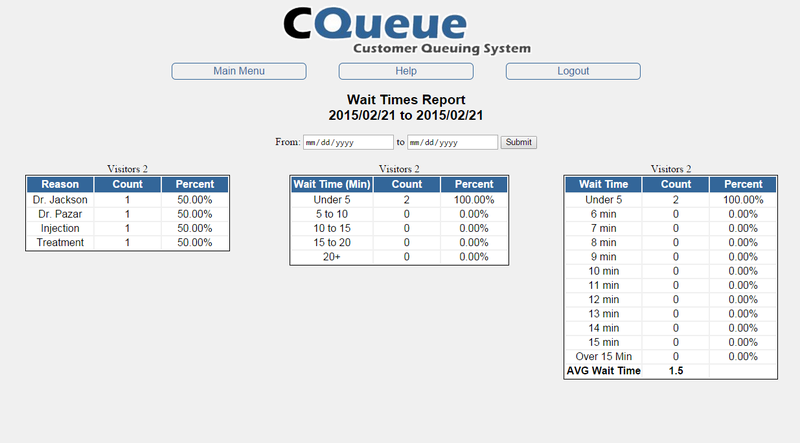 The Standard Display shows a live look at visitors and their status. Each person is time stamped upon arrival giving an organized look at the list. Each person can be acknowledged and checked out as they progress through the office. 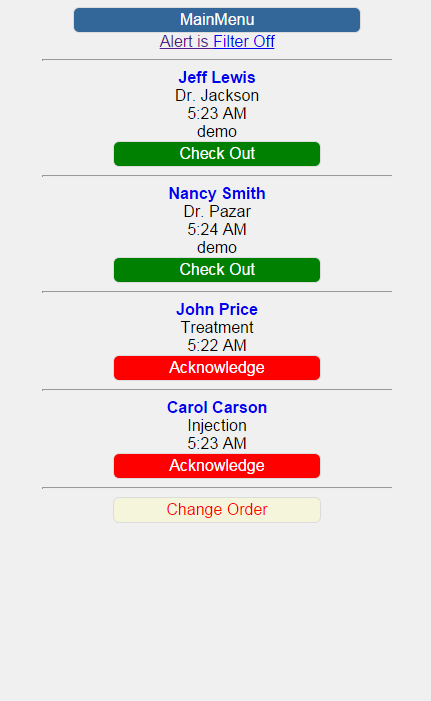 As visitors progress through the office, their status is updated with a single click. You may also have up to 5 custom stages to match your office needs. Using the smaller Sidebar Display you can have a live look at the active visitors running beside your other daily software such as a practice management software or office products. The Daily Report can give you the history of your day, week or any range of dates. The Wait Report presents statistics about office performance. You can choose a day, week or any range of dates to compare.